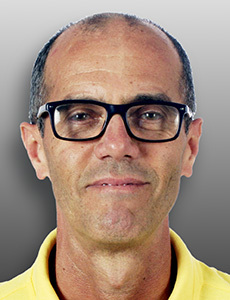 Chaitanya Gosai Dasa Vanachary (Charles Antônio Castro de Oliveira) is a national coordinator in Brazil. Graduated in Civil Engineering, with specialization in structural calculation, by the Federal University of Minas Gerais, he has held various leadership positions within ISKCON for more than threee decades. Currently Chaitanya Gosai Dasa Vanachary lives in Montes Claros, Minas Gerais state, Brazil, where he is helping the development of several Krishna West projects.